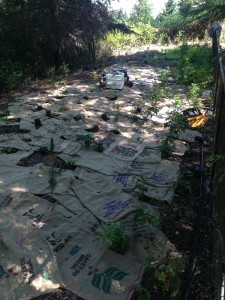 The land where Seattle Native Plants Nursery is located was occupied by invasive blackberry, ivy, and laurel upon arrival. 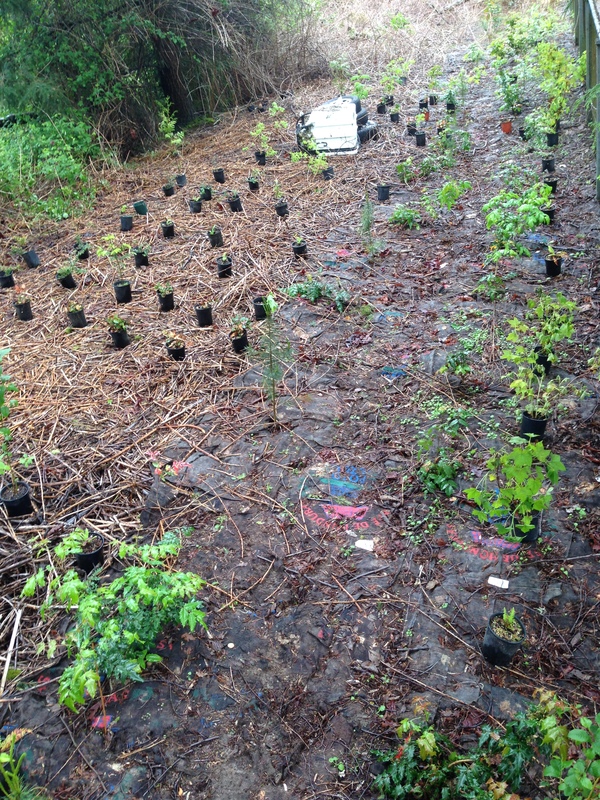 Four years of removal and maintenance have yielded a landscape now dominated by native species both in pots and planted in the ground. 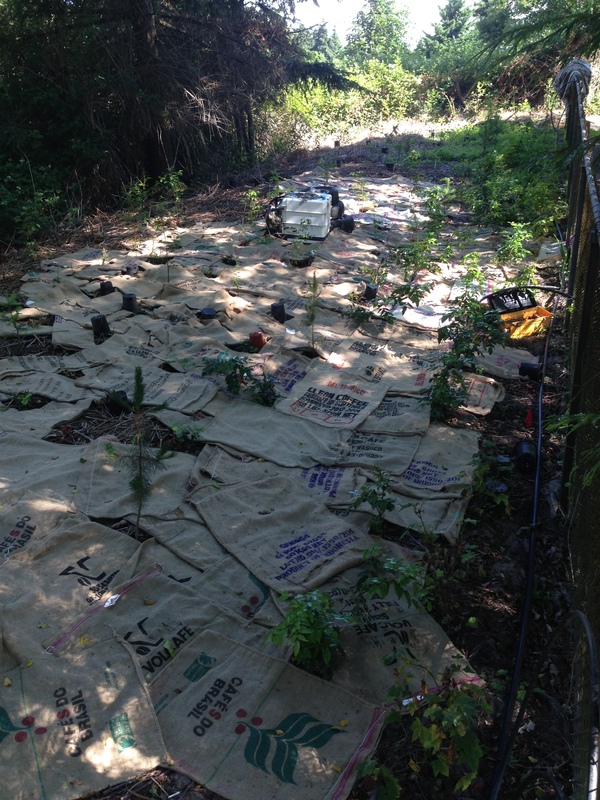 Now efforts are being made to expand restoration efforts to land adjacent to the nursery. Here are some recent photos. 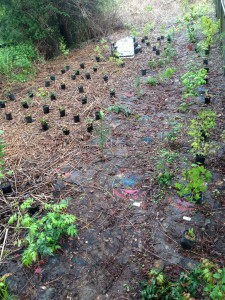 Planting native species to replace the invasive blackberry. 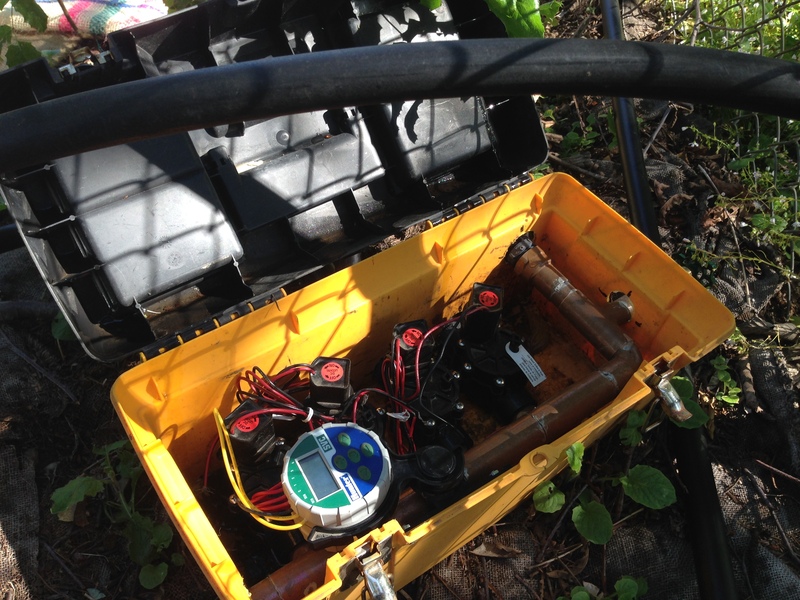 This is a homemade, portable, battery operated distribution box used for temporary automated irrigation purposes. The blue and green computer controls 4 valve for 4 zones. The plan is to water the new plantings this year and leave them to their own devices from then on. © 2019 Seattle Native Plants. All Rights Reserved.